Marc Van Boom, born in Mortsel (Belgium) 1960, largely received his early schooling and training in chemistry, before moving on to a basically self-taught career as a visionary artist. His super-slick glossy paintings and the somehow more matte and lustress pastels, from the ideal contrast in labelling Marc’s work as multidimensional artistry. The exceptional ability to create near magical imaginary dreamscapes, often torn apart by violent extremes, reveal the infinite diversity of his chimerical mind. His work captures the viewer convincingly by leading him or her into a multitude of worlds, where time and space are fixed in the midst of quarks and quasars. 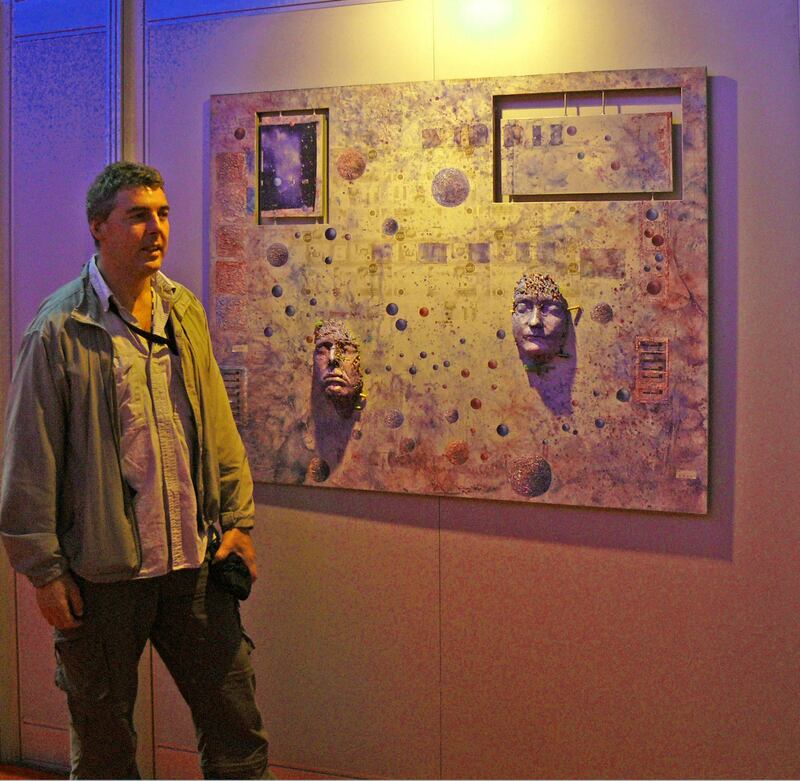 The link between Science and Art obsesses Marc. At times it seems like his paintings appear to breathe and bathe in a type of chemical, but balanced liquefaction. In 1990, Marc became the main organizer of the Linking ’90 exhibit at the Antwerp Zoo’s planetarium. Since then, his multitalented and organizational mind never ceased to dream up new and future avenues. 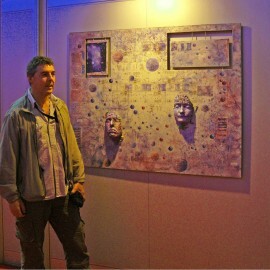 He is currently the main organizer of the Fantasart ’96 project.